Ha-- this may has become more hemorrhage than headlong for me but you have captured well the tipsy turvy-- thanks, Marian. K.
Fifty is a hard one to wrap the head around - best to ignore it and continue being you each day of the week. The doll is delightfully creepy. Your ode to May is surreal, yet accurately describes this kind of in between month. 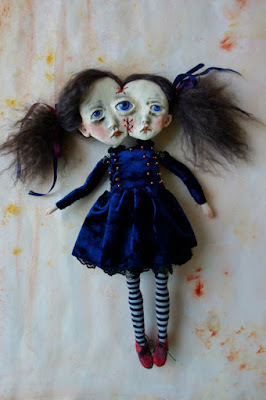 Creepy and weird doll - loved the poem - loved them both actually. While I suspect the month's PR firm would have reservations, this should be May's official tagline. I am now in love with your May! And the doll is weirdly attractive.